Holley Replacement Carburetors are engineered to improve performance and, in some cases, keep your classic ride emissions legal. JEGS Easy Kits are designed by JEGS professionals so you get all the parts you need. 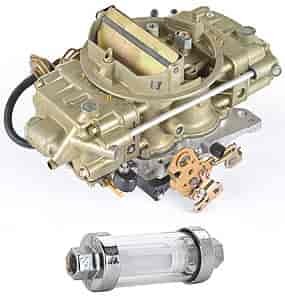 Kit includes carb with valve blowout protection & clearview fuel filter.